For as long as I can remember, I've been obsessed with earrings -- the bigger, crazier and more attention grabbing, the better. In fact, I was coined the "Pin and Earring Queen" of the 7th grade because I was always wearing the most out-there pieces, like shoulder-length houndstooth danglers (I even spent one month of that year documenting and cataloguing my jewelry looks so I wouldn't repeat them). So when I discovered jewelry designer Jennifer Loiselle, whose signature statement pieces -- especially the ones crafted in perspex -- are colorful, bold and, most importantly, FUN, I fell in love immediately. I snapped up five pairs of her earrings -- yes, five -- during one shopping spree on ban.do and haven't looked back since. So I'm beyond thrilled to bring you my interview with the truly fabulous Jennifer Loiselle today! Read on to find out how she got her start as a jewelry designer, where she gets her inspiration and so much more. I was born in Hong Kong but grew up mostly in Australia. Since leaving college, I've always had jobs revolving around fashion. I was a stylist and a journalist for the Sydney Morning Herald in Australia, moved to London and studied footwear design, but ended up working as a web manager/editor for a fashion retail site before ultimately settling on jewelry design/making. How did you first become interested in jewelry? In a very roundabout way! I started making accessories when I was on maternity leave, making handmade headpieces for friends and family. Someone suggested that etsy would be a way to test the market to a wider audience, so I listed a handful of items. I'm not sure quite how it happened, although I think luck had a lot to do with it, but I received quite a bit of press via some prominent bloggers and journalists and the original headpieces developed into a range of jewelry. So all in all, it's been a fairly organic, unpremeditated journey. Where does your design inspiration come from? Living in London primarily. London is a genuinely global city. A lot of cities claim to be but only a few truly are, and it's a constantly changing one -- it's full of creative, talented people from all over jostling for position and for an opportunity to showcase their work, and you can't help but feel inspired by that. I'm constantly trying to play catch up with all the exhibitions and events that are on at any one time, too, so there's always a lot to absorb and be inspired by. I guess if there's any common thread running through all my pieces, it would probably be an odd mix of Pop Art and Art Deco influences. 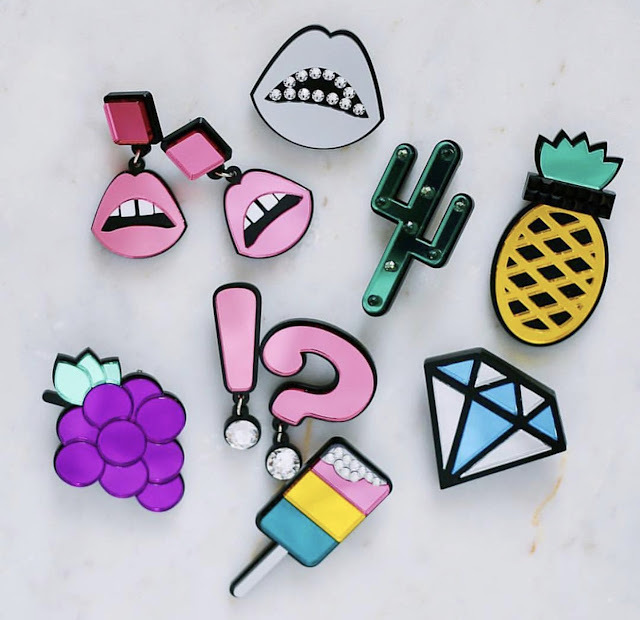 A collection of bright, colorful and FUN pieces from Jennifer Loiselle. Bright, graphic, pop-inspired statement pieces designed to be worn while you're having fun! If you could only wear one piece what would it be? I'm in the process of releasing a new range of gold-plated hand enameled pieces, which I'm very excited about (they'll be released the week of October 23rd). From that collection, I'd probably choose the Don't Worry Be Happy Smiley Face Hoop Earrings. I have a bit of an obsession with the iconic smiley face. These are perfect for everyday wear but are still a little bit special. The brand new Jennifer Loiselle Don't Worry Be Happy Smiley Face Hoop Earrings launching next week! What is your top tip for women wearing jewelry? I think the most important thing is to ignore the trends and make sure what you wear makes you happy. 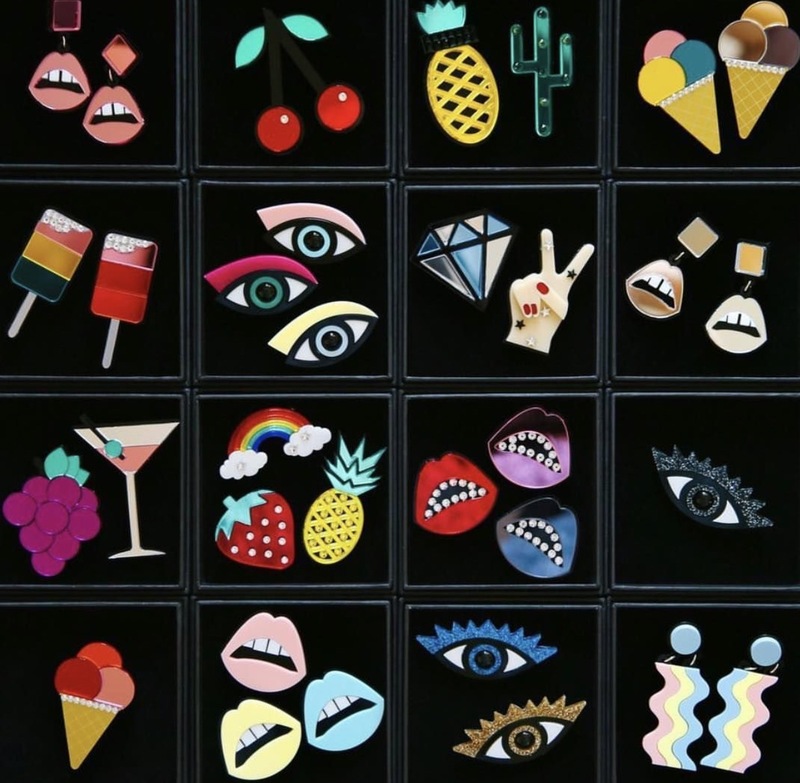 From grapes to popsicles, diamonds to pineapples, Jennifer Loiselle pieces are all colorfully unique. What are your top 5 beauty products? 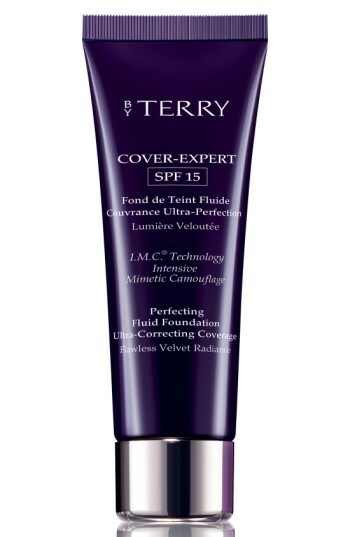 By Terry Cover-Expert Perfecting Fluid Foundation SPF 15. It provides great flawless cover but doesn't look like I'm wearing too much (or at least I hope it doesn't!). SPF 50. Every day, even in winter. I don't think I took care of my skin at all in my 20s, which I really regret. If there's any beauty regime I'd like to pass onto my daughter, it's that 50+ sunscreen is essential. SK-II and REN. I use a mixture of their products for my everyday skincare regime. 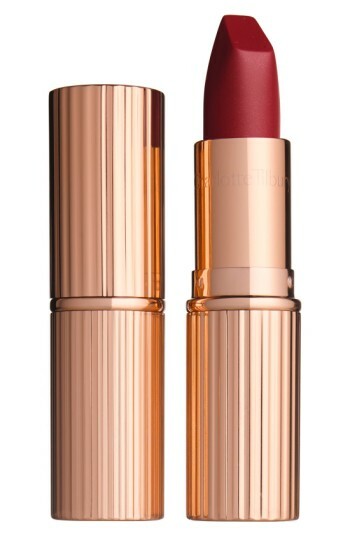 Charlotte Tilbury Matte Revolution Luminous Modern Matte Lipstick in Love Liberty. The perfect berry red. 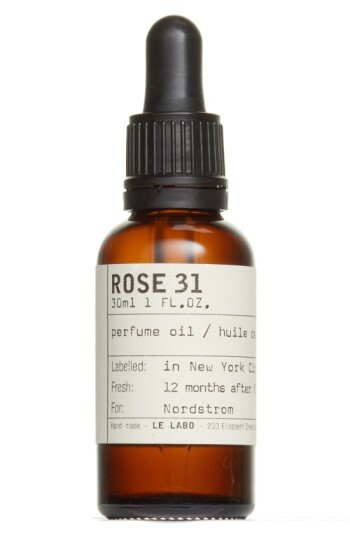 Le Labo Rose 31 Perfume Oil. What can we expect from Jennifer Loiselle going forward? I've really enjoyed designing and making my latest hand enameled pieces, I definitely plan to explore that process further. And more collaborations, they're always fun! Being a jewelry designer must be fun, but what do you like to do in your spare time? I love visiting galleries and museums. Living so close to central London I am definitely spoiled for choice. I potter around a lot in junk shops and car boot sales. Most of all, I like to escape to the country or faraway destinations as often as possible to re-energize. How can The Beauty of Life readers find you online? You can shop at jenniferloiselle.com or etsy. You can also follow me on Instagram. What a great interview! Her jewelry is so fun and whimsical! Love her jewelry! When I was teaching I collected pins and these would have been perfect as pins. My students looked forward to which pin I'd wear that day so I'd switch them around. If I had pierced ears I'd love her lip earrings. Fun fun interview. I like the graphic style. I love that she isn't afraid of making bold pieces! Everything is SO cute! 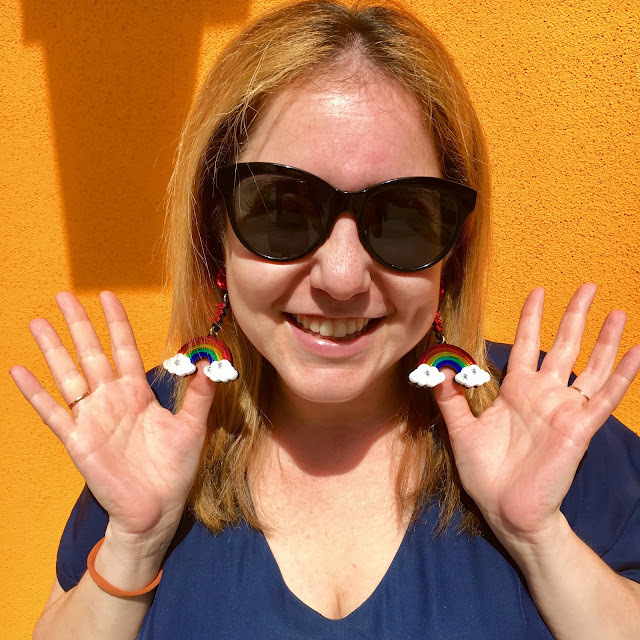 I love the rainbow earrings. I love funky jewelry like this! I totally agree with you - ignore trends & wear what makes you happy. :) Preach! How fun to be a jewelry designer! I love your choices in beauty products.